In a scene right out of Orange is the New Black, 1000 inmates at the Ohio Reformatory for Women in Marysville, Ohio dumped their food in protest last week after maggots were found in the kitchen and dining areas. The prison’s food service program had been outsourced to the massive Aramark corporation. Watch this video about the stomach-churning scandal from our friends at Center for Media and Democracy and share it widely. Maggots have also been discovered in seven other prisons around the state – and Aramark runs the food service programs in all of them. Last month, maggots were discovered in two Michigan prisons where Aramark also runs the food service programs. The Philadelphia, PA-based corporation hasn’t taken responsibility, and officials in both states are sticking by the vendor, responding with small fines instead of cancelling the contracts. Ohio fined Aramark $270,000 and Michigan Governor Rick Snyder fined the company a mere $200,000. Aramark has lucrative prison food service contracts with both states – $110 million in Ohio and $145 million in Michigan. Last year, Aramark had $13.5 billion in sales. 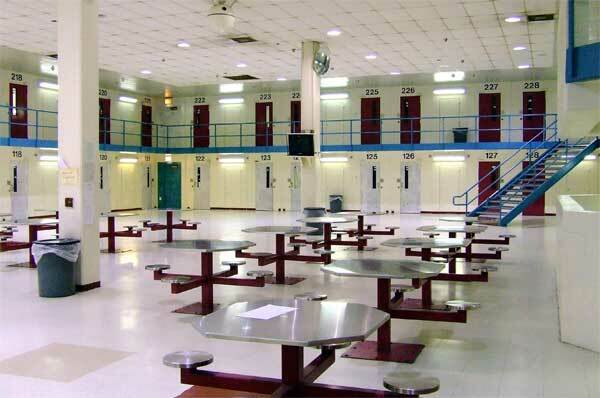 Outsourcing food services to for-profit companies such as Aramark has become common in prisons, school cafeterias and other public facilities. Supporters claim outsourcing saves money, but too often public health and safety concerns arise when contractors cut corners. Companies like Aramark Corrections depend on our taxpayer dollars and must be held accountable for betraying our trust and failing to deliver on their contracted obligations. Small fines are simply slaps on the wrist and are not enough to ensure contractors act responsibly in the future.